Hello everyone! 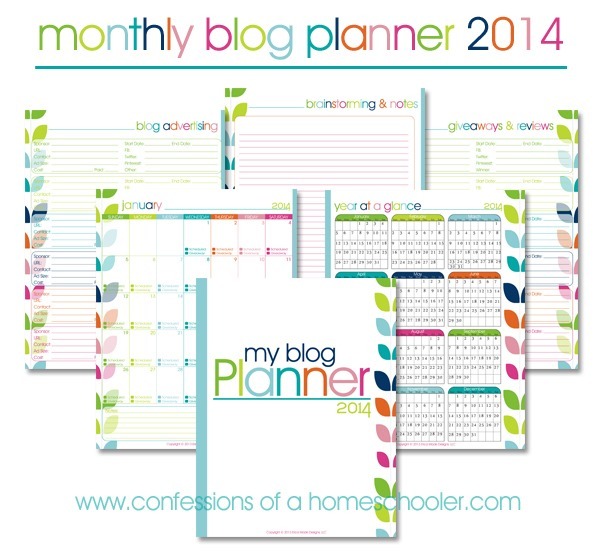 Okay, so I know that all of you bloggers out there have eagerly been awaiting the 2014 Colorful Blog Planner! And today is finally the day! Whoo hoo! Okay, maybe I’m more excited than some of you, but I am really enjoying this colorful planner laying around on my desk. 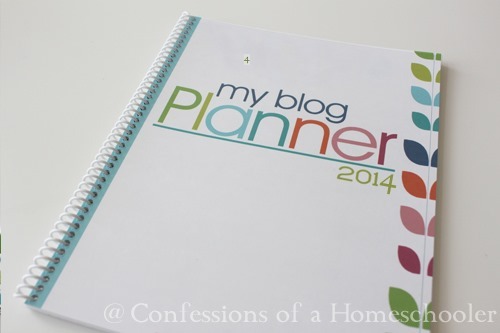 it actually inspires me to blog just because I like to write in my planner! The only thing I haven’t quite perfected is that I love these Foray Colored pens, this on is the perfect green color. Unfortunately I tend to move posts around quite a bit since I blog in advance. So…use pretty colorful pen…or use ugly pencil so I can move posts…ugh. And yes I’ve tried colored pencils. But they don’t write as nicely. And don’t come in this green that I’m loving. 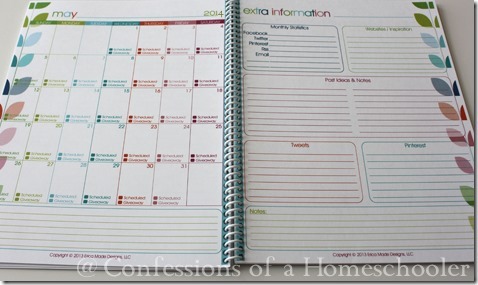 As you can see I went with the calendar layout for this planner and added some extra info on the opposing page. It includes Monthly Statistics, websites and inspiration, post ideas and notes, tweets, pinterest pins, and additional notes. After downloading, print the planner by printing the odd pages starting with page 1. 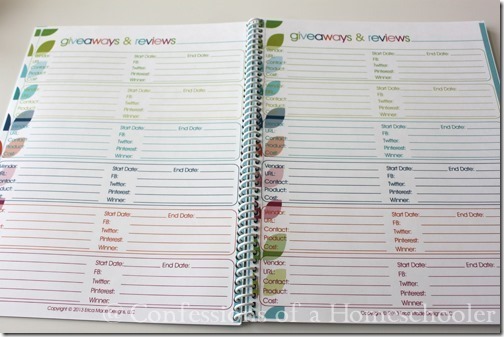 Then flip the pages and print the even pages on the backs. Next take the document to the Office Supply store and have them spiral bind it. I spent $3.50 for the coil and a clear front cover and white back cover for my planner. This just makes it more durable and holds it together beautifully! 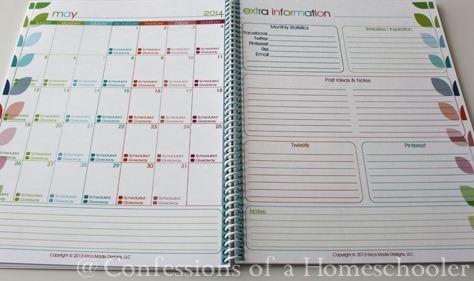 As you can see if you print the planner front to back, you’ll end up with your monthly calendar on one side and the monthly notes and other information on the opposing side. And pages at the back for general brainstorming and note taking. SPOILER ALERT!! 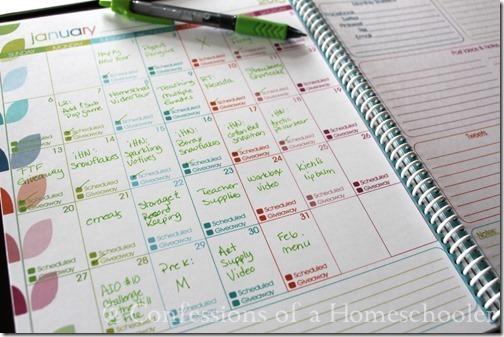 For those of you who would prefer a weekly planner instead of the monthly view, stay tuned next week! I hope you enjoy this planner, as always feel free to send improvements and suggestions to me via email. I can’t promise I’ll be able to attend to all requests, but if it is something that would be useful to most bloggers I will do my best to update the planner! Thanks so much for sharing this! I need to make a couple thousand a month from my blogs and I was wondering if you think that is possible or if I should direct my efforts elsewhere. If it’s possible, can you give me some general guidelines on how to make that happen? Love this, so colorful and fun! I just put together a blog notebook today. Now I’m all set for 2014 too. You are so kind to put this together!!! Thanks very very much! Pilot Frixion Erasable Gel pens might work for you. The glide beautifully, come in beautiful colors, and erase perfectly. I have never liked traditional “erasable” pens, but these are awesome! Oooo… I had not considered erasable pens! I’m currently hooked on Pilot InkJoy pens. I’ll have to try a couple of these. Thanks for sharing! AWESOME!!!!!!!!!!! I love it! This is really really amazing work, thank you so much for sharing it! You’re so kind to offer this beautiful resource for free. Thank you! I’m looking forward to the weekly view too! Thanks so much for sharing this! I notice you talking about the pens/pencils. I read on another blog a while back about these awesome ‘erasable’ pens, they sounded so good that I had to buy them. Frixon made by pilot. They erase with friction, not an eraser. 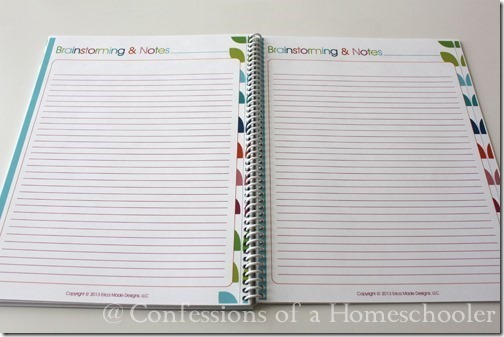 I use them for all of homeschool planning, grading, etc. They are the best pens I’ve ever used! And come in every color of the rainbow! Absolutely stunning. Thank you for sharing this with us and helping us have beautiful planners. 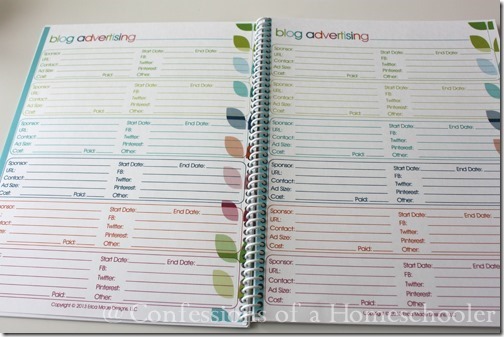 As a book blogger who is starting her own editing business, I realized this month that I definitely needed a blog organizer and this popped up in my feed today. What a divine intervention! Thank you so much.